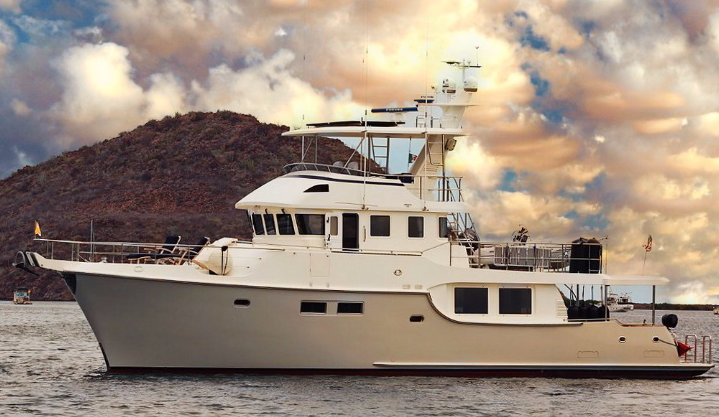 Northwest Explorations, the charter company in Bellingham, Washington, that specializes in running summer flotillas to Alaska, the San Juans and Desolation Sound, just added a 60-foot Nordhavn to its 18-boat fleet. Puffin Quest is the first Nordhavn and the largest boat in the Northwest fleet, which has more Grand Banks than any other brand. Puffin Quest, like all Nordhavns, is a true blue-water expedition boat (a Nordhavn 40 circled the globe in 2001 and 2002), and is powered by a single 330-hp John Deere diesel. It cruises at 8 knots and tops out at 10 knots. The boat also has an 80-hp John Deere as a second, wing engine.